Other than the fact that it's the weekend, here's something that will definitely brighten up this wonderful Saturday: According to The Daily Beast, there's some silver lining news to come out of the leaked Sony emails that has nothing to do with bashing celebrities or revealing employees' sensitive information. And, while it's still a confidential matter, it just might make up for all the controversy that's come from The Interview being canceled. In another email sent by Sony Pictures Entertainment co-chairman Amy Pascal to Columbia, executives apparently want Idris Elba to play James Bond. 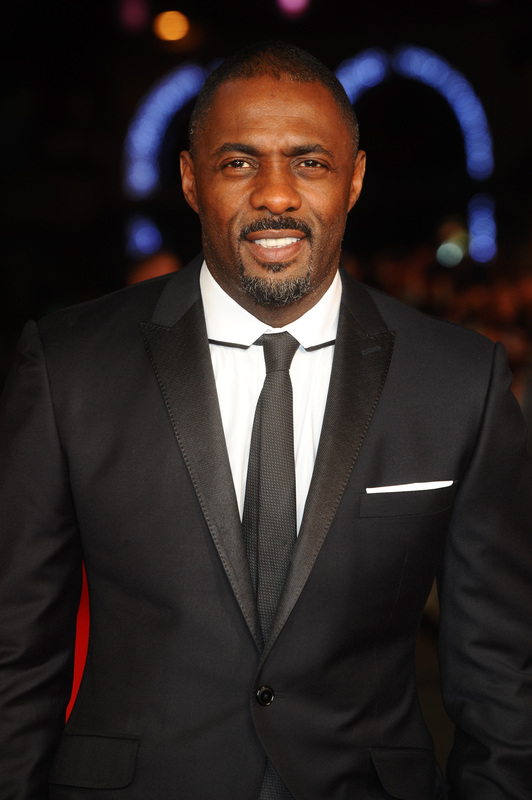 In fact, Pascal's exact words were "Idris Elba should be the next Bond." If it isn't already clear by now, there are a ton of reasons why Elba should absolutely be the next James Bond. For one, the current Bond, Daniel Craig, has openly expressed that he wants out of the role after he fills his contractual obligations, so this isn’t some blind campaign to replace him out of the blue. Secondly, Elba’s credentials show that he more than fits the bill for the role. I mean, what heartless soul would even think of saying no to casting this gorgeous, talented specimen of a man? Actually, he looks great in a suit. This would make Elba the first black actor to portray 007 in history, which would be awesome. He's British, just like Bond. Even if Elba wasn't British, he's proven that he can affect a range of accents, so he could definitely pull it off anyway. During a Reddit AMA, Elba said that he would "absolutely" play Bond if he was asked. Elba's portrayed everything from a detective on Luther, to a stalked husband in the movie Obsessed, the complicated drug dealer on The Wire, to Nelson Mandela, to a superhero — and the list goes on. He could easily tackle the classic spy role. Minus the spy part (as far as we know). He's a wealthy, handsome, alluring man whose mere existence is enough to mesmerize women. With Elba's musical inclination, producers could possibly make history again as they did when Alicia Keys and Jack Black created the first duet of the entire Bond film series for 2008's Quantum of Solace soundtrack. They could get more bang for their buck if they cast a lead actor who can contribute to creating another groundbreaking soundtrack. C'mon guys, say it with me: Idris Elba is the next James Bond.